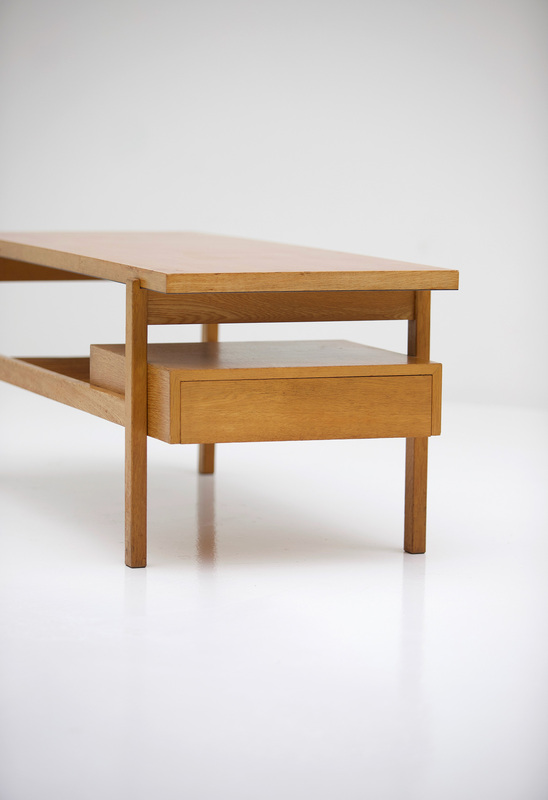 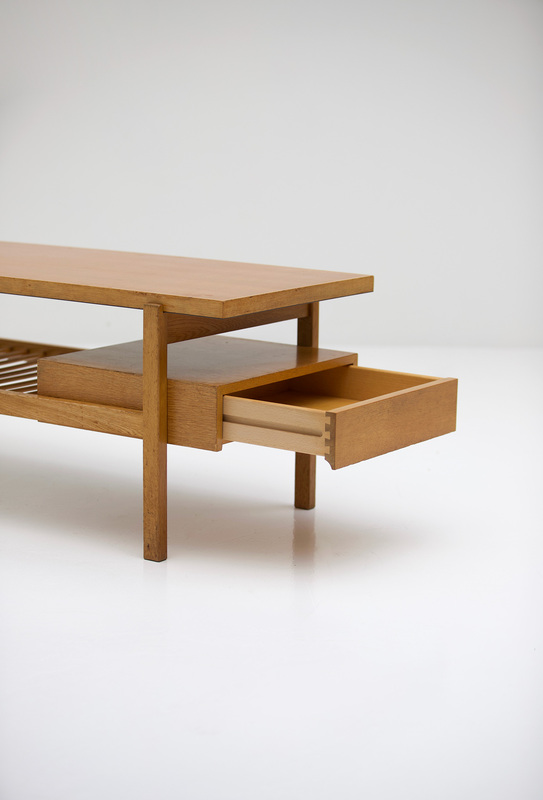 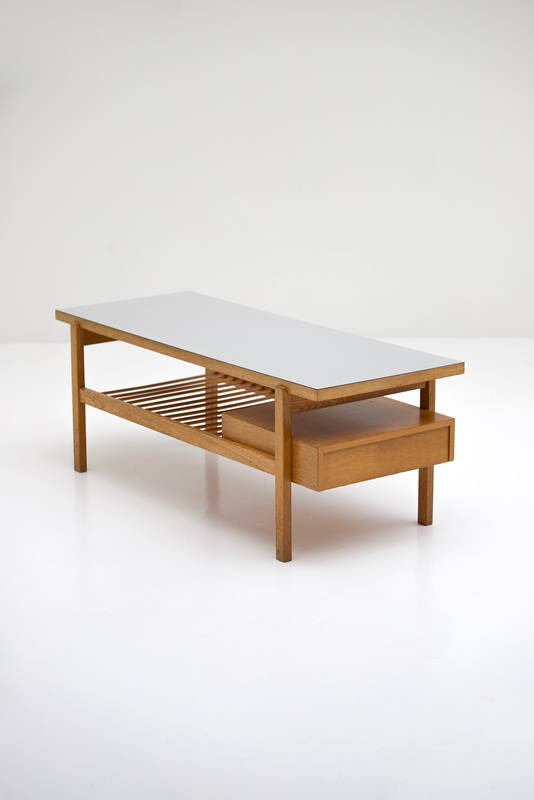 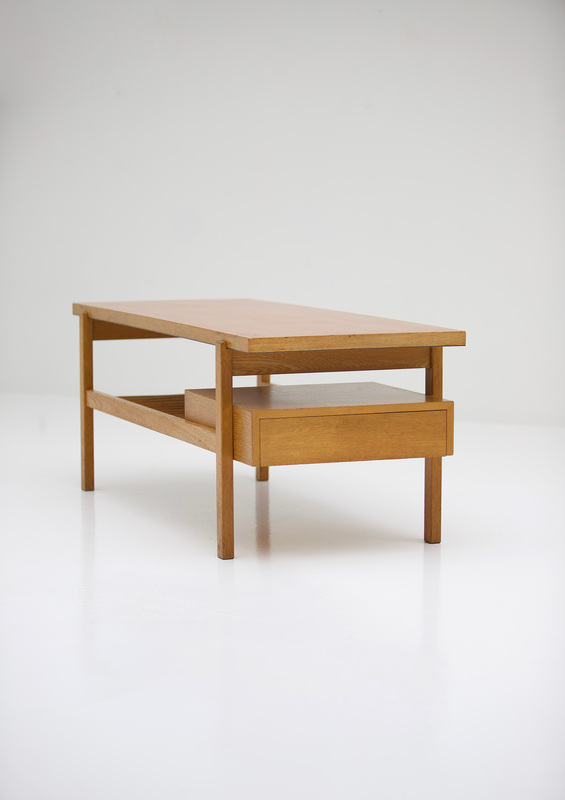 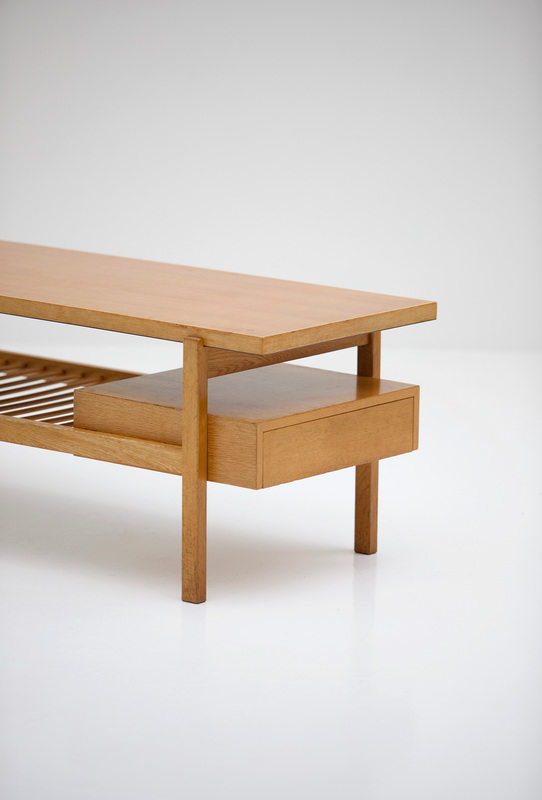 This minimal coffee table is designed by Jos De Mey for Van Den Berghe Pauvers in the 60s. 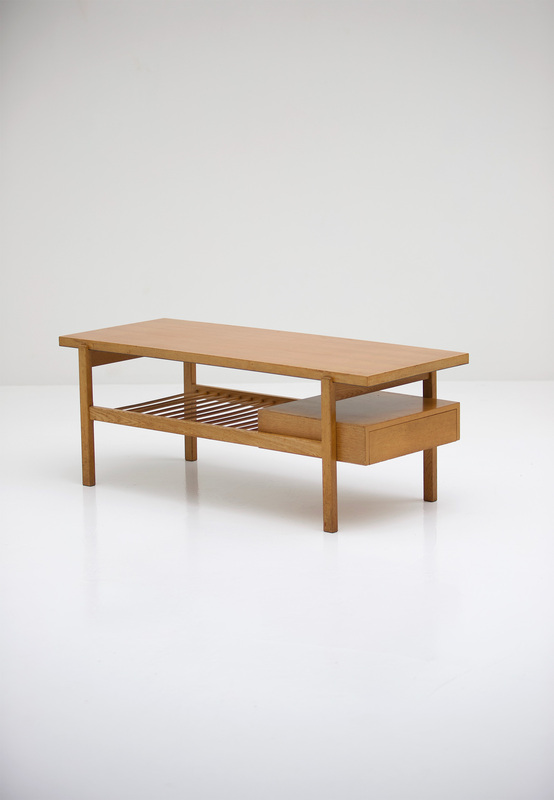 The minimal oak frame has a hidden drawer and reversal table top which has a wooden and a grey formica side . 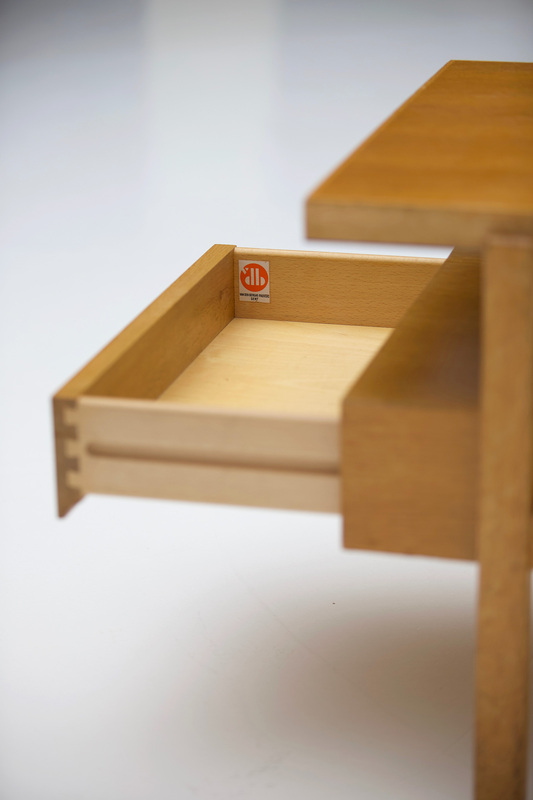 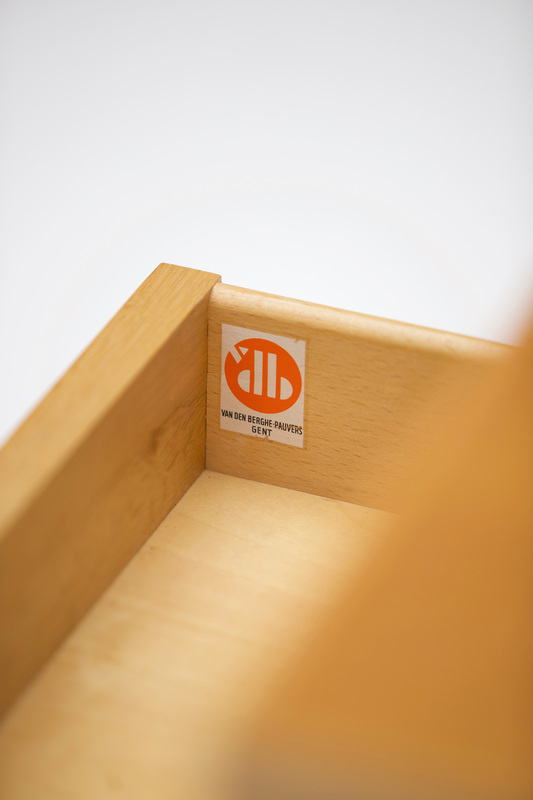 The table is in a very good condition and has been labeled with the original Van Den Berghe Pauvers label inside the drawer. 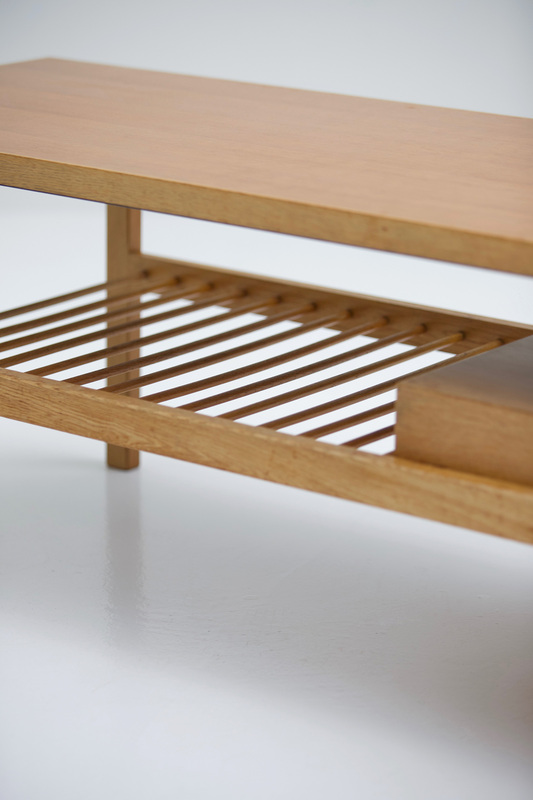 It has a very decorative and architectural look.